Hamster has quickly become one of the most prolific companies when it comes to bringing back classic games. On a weekly basis, the eShop has been receiving new NeoGeo and arcade titles. Yet what goes behind all of that? How is Hamster able to bring back these classic games on a weekly basis? In a recent interview with Famitsu, Arcade Archives producer Satoshi Hamada was brought in to answer the import questions. He spoke about working with Nintendo on its arcade titles, the reason Hamster has weekly releases, and what the fast pace of development is like. Hamster Corporation has already re-published many games, but I was surprised to hear you would be releasing Nintendo games as part of the ‘Arcade Archives’ series. Can you tell us how this came about? Hamada: I’ve always wanted to release a collection of famous Nintendo arcade titles via the ‘Arcade Archives’ series. With that wish and also Nintendo’s cooperation, we were finally able to make that a reality. When it was finally decided we would do it, I think I was more surprised than anyone. What do you think was the main reason you were able to reach this stage? 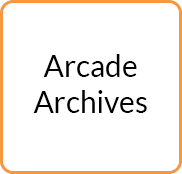 Hamada: The ‘Arcade Archives’ series was established with the aim of looking back into the past and restoring classic arcade games. This is just my guess, but I think a common ethos is one reason we succeeded. Maybe part of it is also recognition from Nintendo of how much you have achieved so far. Hamada: I think being allowed to port Nintendo’s titles has a lot to do with a history we share. Of course, the fans who spoke up for us on Twitter and other social media sites also had a big influence. On the PlayStation 2 Hamster published ‘Oretachi Gēsen Zoku’ (only released in Japan, but literally: ‘Our Game Centre Family’) and then on the Wii U we released games on the Virtual Console. But to be honest, we’ve had our failures. When we began releasing on the PlayStation 4, it felt like even though we’d had lots of setbacks, we’d been able to finally get back on track. Given these are all old games, there must be times when negotiations over republishing licences are tough. Hamada: There are also times when the people involved in making the game at that time have moved on and it’s difficult to know where to even start. Then there are other times when the original data has not been preserved. The fact is that the older the game is, the harder negotiation and republishing becomes. There are really times when the original data is lost? Hamada: There really are. In those cases we acquire the original circuit boards and work from there. But honestly there are also plenty of cases where we can’t acquire those circuit boards and so can’t republish the game at all. Hamada: The way it usually works is that we tell the original rights holder that we’d like to republish the game and then get permission from them to do so. We start from there. Next we begin searching through the circuit boards. We work in cooperation with the original creators to ensure that all the data is still there. You must be grateful they help you out so readily! Imagining all the things that could go wrong must be scary! (laughs) I guess you need them to understand that you’re basically approaching this the same way a museum would approach the preservation of cultural artefacts. Otherwise it would be difficult to get their permission. Hamada: Definitely. I think that’s actually close to what we do. The ‘Arcade Archives’ series relies heavily on the support and understanding of everyone involved. So, you’ve told us that republishing these games is no easy thing, so why are so committed to these old school arcade games? Hamada: Honestly, because of those failures that I mentioned earlier, the company has faced bankruptcy many times. (wry laugh) Despite that, I think the reason I carry on republishing these games is just because of the strong personal desire I have to do it. Yeah, without that it’d be difficult to continue releasing games every week. Originally, what gave you the impetus to go with that weekly release schedule? Hamada: The original opportunity came with the release of the Xbox One and the inception of the ‘Arcade Archives NeoGeo’ series. Because the architecture of arcades is fundamentally different, republishing them on consoles is very difficult. In the case of the NeoGeo, however, the system is similar and so republishing is much easier. Because of that we were able to push out a release once a week. On August 23 we will have released a game for 80 consecutive weeks. Ah, so that’s the secret. Do you think that run will go on even longer? Hamada: The natural pause would be at 100 weeks, but obviously I’d like to aim to go even beyond that. Coincidentally, how much development time is necessary for each title? So you’re saying the current plan already exceeds 100 consecutive weeks? Yes, I can imagine. (laughs) So, what has kept you going until now? Hamada: I think wanting to provide players with the games they are searching for. Having said that, don’t you think that the games people played in the past are very varying and personal things? True. I think play experience varies a lot from person to person. Hamada: If the number of games we republished was small, then there would be cases where players think: ‘the game I loved playing when I was younger isn’t even here!’ When you think about how to solve this, the only obvious answer is to create an environment where players can choose whatever they like from a large catalogue of games. That’s the reason we were so keen on the weekly release schedule. And it seems that’s also one of the reasons you are able to keep your prices down. No, no, I think the games are plenty cheap enough. (laughs) So you’ve told us about the fast pace of the development itself, but how much leeway is there in getting the game out on release date? Hamada: There are a lot of times when we are extremely close. Each week we have to go through three hardware master checks, as well as an additional check for the overseas release. Because of that we have a tendency to cut it really fine. Week after week it’s like I’ve got a hole in the pit of my stomach. The development team, the debug team and the quality control team all work together with the rights holder to make it in time. What particularly helps is an enormous amount of cooperation from the hardware makers. But because of that hard work you give the players that impetus each week to go and check the store for new releases. 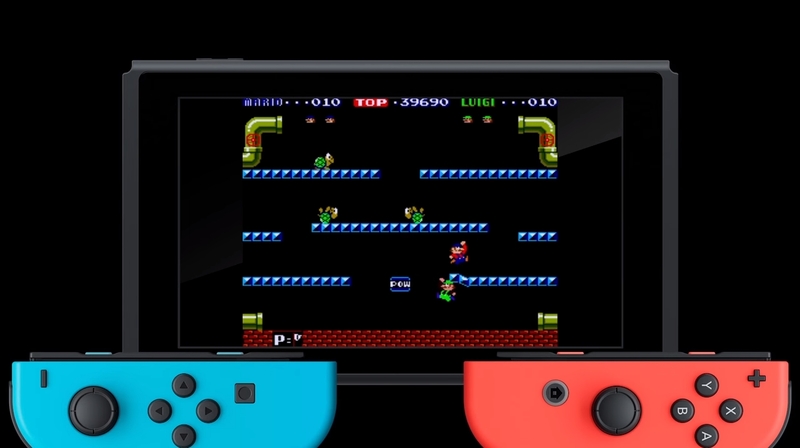 Hamada: I think getting the new game on the store each week is mainly thanks to the Hardware Makers cooperation and support of the ‘Arcade Archives’ series. It’s only with their backing that we can reach our ideal of bringing back all of those old games. I think fans overseas are also very grateful for you work. Hamada: You could be right. The NeoGeo not only has fans in Japan, North America and Europe, but also in South America and elsewhere in Asia. I’ve head they are even more devoted to the console than fans here in Japan. Even those that did not really play the NeoGeo at the time of release seem to have a yearning for the games. Having Japanese games loved so much throughout the world makes me very happy. True, I’m sure there will be those who didn’t play the game at the time but end up downloading it now. So, on to my last question. For the hundredth consecutive weekly release are you planning something special? Hamada: If it’s possible, I definitely have a game in mind. But there are lots of times when a bug crops up and the release date has to be changed, so I can’t guarantee that the title I have my eye on will be the one released. Well good luck anyway and thank you for speaking to us today!